offer. To this end, we adhere to the following principles. IAmFresh will collects information about the customer full name, address, contact number and maintains the same for communication purposes. 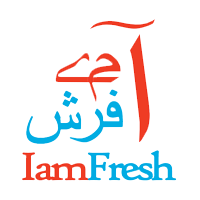 Your contact details will be used by IAmFresh only for internal purposes and will not be shared with any other third party unless ordered bylaw. We may share your contact details for any investigations of fraudulent activities with the investigating agencies (Police, Court of Law, Cyber Crime investigating agencies). IamFresh built the IamFresh app as a Free app. This SERVICE is provided by IamFresh at no cost and is intended for use as is.